If you feel the courts failed to give you the ruling you deserve in your divorce, you have the right to contest their decision. This is done by appealing to a higher court called the Court of Appeals, where basically you are asking for a review of the decision in your case. 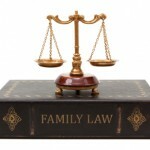 The Kramer Law Firm represents clients in Florida family law appeals. If you are considering an appeal, contact a Florida divorce appeals lawyer at the Kramer Law Firm immediately. Generally, Florida family law appeals must be filed within 30 days of the delivery of the final judgment. Our divorce attorneys will examine your case and provide you with an assessment as to whether there were any mishandlings or errors concerning marital status, marital assets, assignment of income, and the best interests of the child. Florida family law appeals require a unique set of attorney skills. Divorce appeals are also restricted, in that you cannot show any new evidence or facts. The appellate court is given the chance to review the record of the trial court. Any arguments will be based on the evidence already presented in the trial court. Our duty will be to show the appellate court that procedural errors, or mistakes related to points of law, occurred during trial court. The family law attorneys at the Kramer Law Firm have significant experience with appellate practice. Our capabilities for research, litigation and oral argument are extensive. Our knowledge of Florida divorce law, as well different legal areas including estate planning, bankruptcy, criminal defense, business law, foreclosure defense, and civil litigation, enable us to help our clients in many ways that may not be apparent to them at first, but are important because many divorce cases can involve legal issues affected by other areas of law. Most importantly, we are concerned with the stability and emotional needs of our clients. Divorce can take a terrible toll on the divorcee and on the family, and our firm is committed to helping each and every person who comes to us meet their challenges with both compassion and strong legal guidance. Contact a Florida family law appeals lawyer at our firm to discuss your case and your legal options. In Florida, family law appeals are handled in five District Courts of Appeal. Appeals from Orlando or Seminole and Orange County are appealed to the Fifth District Court of Appeal, as are Osceola, Seminole, Brevard, Hernando, Lake, Marion, Citrus, Sumter, Flagler, Putnam, St. Johns, and Volusia Counties.